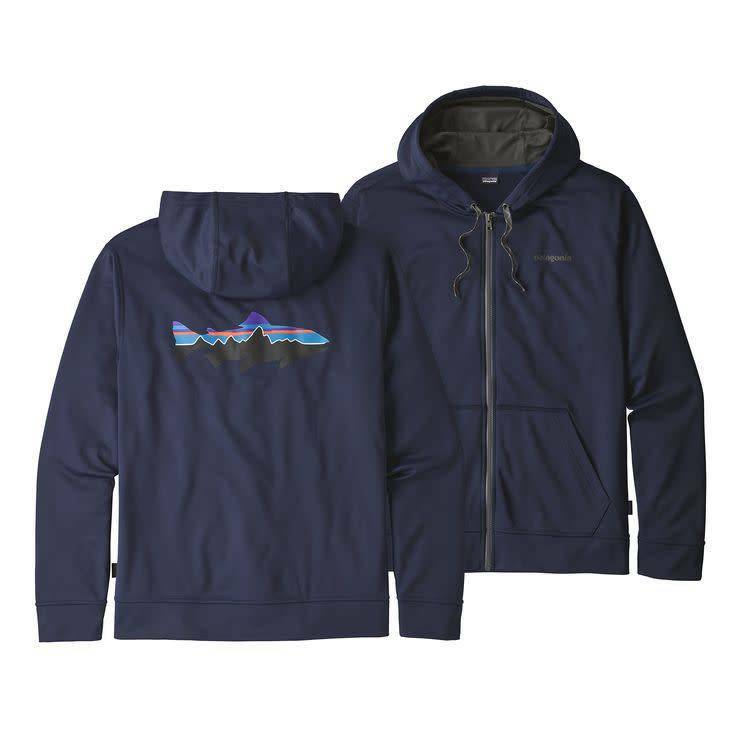 The Fitz Roy Trout PolyCycle® Full-Zip Hoody is made from quick-drying, versatile 100% postconsumer recycled polyester fleece for active pursuits; three-panel hood is lined with lighter, 100% polyester tricot fabric, has an adjustable drawcord closure and contours the back of the head for a more technical silhouette. Regular-fit, full-zip hoody style with front pockets and self-fabric hem and cuffs. 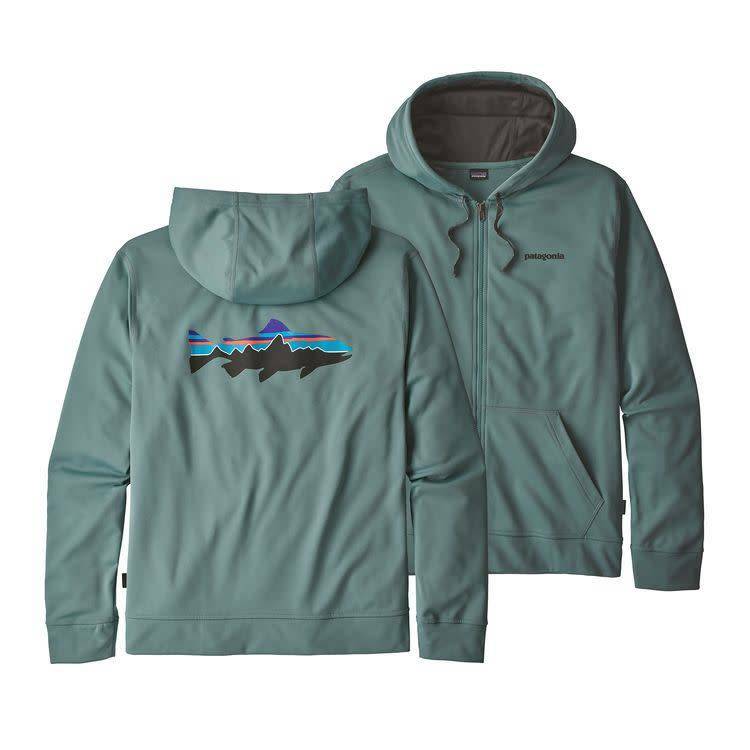 Patagonia original artwork is screen-printed using PVC- and phthalate-free inks.